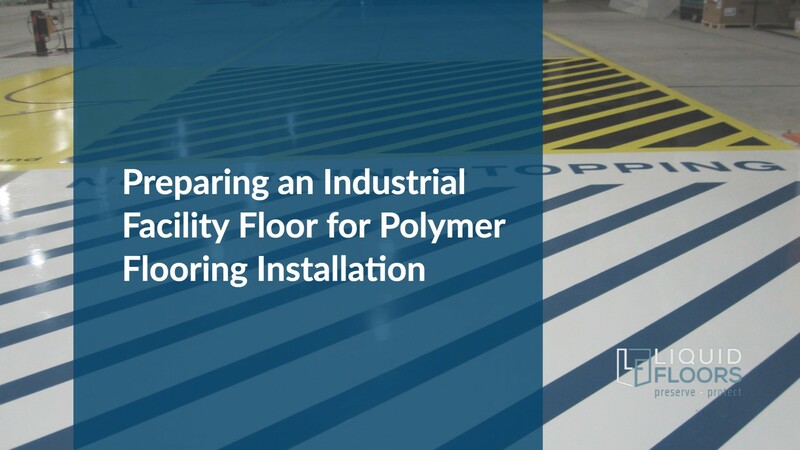 It is absolutely critical that your concrete floors are properly prepared for the application and installation of polymer flooring. There are many different ways to prepare a floor for coating and it is critical that the proper preparation steps are taken based on the current status of the flooring to be coated. The first step is to clean any uncoated concrete. Cleaning includes removing any chemicals or oil/Grease From the floor. If these materials are left in the floor, it will negatively affect the installation of ANY floor coating. In order to determine how the floor should be cleaned, one should examine the flooring surface carefully. A water drop test is often used to tell whether or not the surface is clean or not. A clean concrete surface will absorb water. However, if there are already sealers or compounds or other materials like oil on the surface of the concrete, the water will bead much like the way water beads on a waxed car. If the floor was previously painted, any paint that is loose or chipping must be removed and sanded. The floor should be sanded until there is no longer any gloss or sheen. If you’re going to be coating over areas that already have been painted or coated you should test an inconspicuous area to evaluate compatibility. Any surface issues or defects must be repaired. Holes should be filled as well as any cracks or other surface defects. It is also critical that your floor is checked for MVT. MVT stands for moisture vapor transmission. It essentially means that there is some moisture underneath the slab of concrete. This moisture can cause several problems including bubbles and other negative effects. A professional installer will run tests to determine if any problems might appear as a result of MVT. It is important to know that while all flooring should be tested, MVT issues are not always completely repairable nor are they always considered problematic. Shot blasting is used to roughen the flooring order to make it more susceptible to ceilings coatings and polymer. The process is just as it sounds. Shot (as in a shotgun) Is blasted at the floor over and over and over using a specialized machine. Diamond grinding can be used on floors to remove coatings or smooth surfaces. A grinding stone or disk is rotated and applied under pressure on the surface of the floor. The process is repeated until the desired effect is achieved. This process achieves a more precise effect. Finally, once the surface is clean repaired and tested it is ready to be primed for the application of the polymer floor coatings recommended by your Liquid Floors representative.